This Father’s Day, gift Dad a big smile by giving him an adorable handmade card! 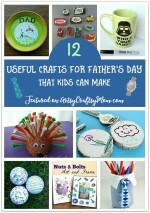 Here are some super cute DIY Cards for Father’s Day that the kids can make. There’s this meme that floats around during this time of the year that talks about how Mother’s Day commercials are about diamonds on sale for $3000 and Father’s Day commercials are about cargo shorts on sale for $11. Yes, it’s funny but it’s also true! The BBC says that the overall expenditure for Mother’s Day is billions more than that of Father’s Day – yes, billions! Now, that’s not fair to our Super Dads, and we’re going to rectify that this year. You’ve probably given Mom a cute little handprint craft or another gift, so for Father’s Day, let’s make Dad a gift that he can actually use. And don’t put away the craft supplies yet – make a card to go with it! Here are some ideas for some absolutely adorable DIY cards for Father’s Day, that’ll warm Dad’s heart inside out and bring a huge smile on that loving face! Whether Dad is lanky and tall, or stocky in build, any threat to his cubs and he turns into Papa Bear! Let Dad know that you love him for keeping you safe with this cute Papa Bear card from The Best Ideas for Kids. 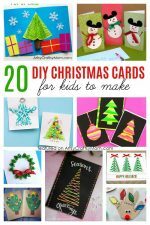 Let each kid make one in a different color and in different sizes for a personalized touch! Let Dad chill on his special day with a good book or some music, a tall glass of his favorite drink – and this card from Homeschool Preschool! Green foam, a Popsicle stick and googly eyes come together in a cute little card to melt any Dad’s heart. Whether Dad is an early riser or a night owl, this is such a cute card he’s sure to love it! I Heart Crafty Things shows us how to make an owl card with a hidden photo, covered by its wings. 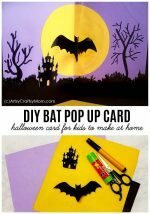 With a free downloadable template, this is really easy to make! Is the Dad in your home a die hard Star Wars fan? Then you absolutely, definitely must make this Yoda themed card from Red Ted Art! And if he’s a fan of 3D movies, then all the better – this card’s a 3D pop-up card too! You can’t have a list of DIY cards for Father’s Day without featuring at least one shirt card – it’s almost a custom! Check out our step by step tutorial to make a simple shirt card. Make it in Dad’s favorite color and add a funky tie! 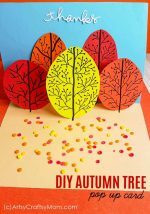 This craft from The Best Ideas for Kids is truly adorable and perfect or toddlers and preschoolers. Dads will love that tiny little hand print, turned into a fish. 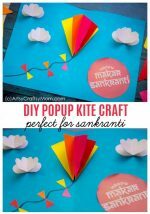 You need just basic craft supplies for this craft and just a little free time! You’ve heard of 2D and 3D, but Hello Creative Family has a cool 4D greeting card for Father’s Day! It’s the clay that adds that extra element and the result is a truly impressive card. And owls – who can resist them? This Father’s Day, set up an appointment with Dad to celebrate his favorite hobby, whether it’s fishing, golfing, grilling or gardening. And go ahead to make matching hobby cards from Highlights to go along with the outing! Show Dad your love and encourage him to eat healthier at the same time with this punny melon card from Frugal Mom Eh! It’s really easy to make – it’s basically a collage of foam shapes, and the free printable makes it a breeze to put together! At the end of the day, every person’s Dad is his or her own personal Superman, so why not let him know it? Designer Daddy has a very realistic looking Superman logo card, made with felt, foam and paper. Tip – add a pin to the back so Dad can fix it to the front of his shirt! 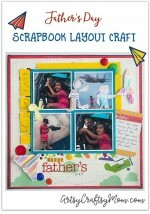 With a nice gift and cute DIY cards for Father’s Day, you’re all set to make this a special day for Dad! If you’d like to go a step further, try making a Father’s Day Scrapbook Art with pictures of wonderful memories you’ve shared together. And if you’re running out of time, check out these Last minute Father’s Day Gifts, so you still have something to show your love!